Yesterday was a dull day - not quite raining. 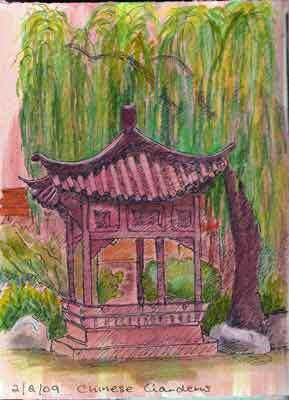 We went into the city and then had lunch in the Chinese Friendship Garden. It is a such a beautiful place, and so peaceful and calm, despite being smack bang in the city centre and near a major road. 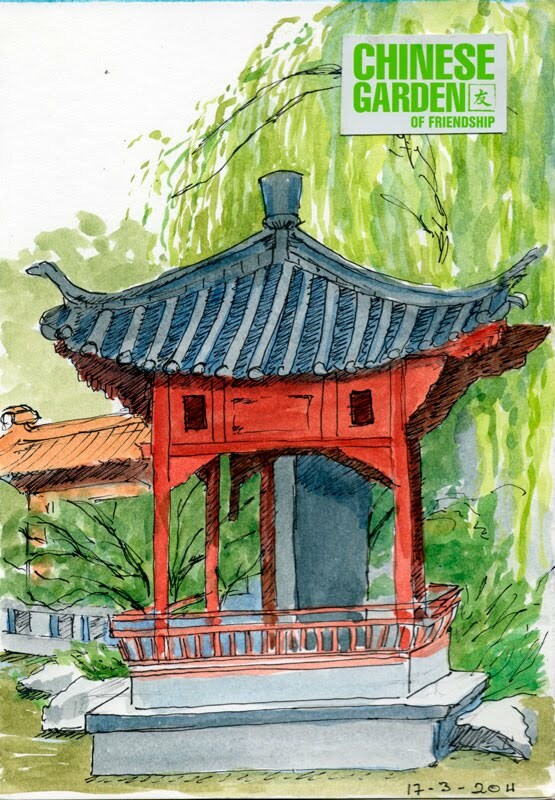 I drew the same little pavilion that I have drawn before. The previous time I also used watercolour and pen, but I finished off with coloured pencils. Back then, I was working on Stonehenge paper that I had previously toned with a wash of acrylic. 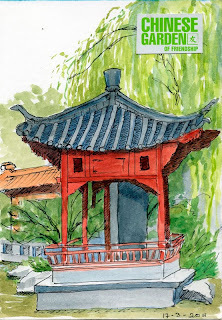 I finished this sketch on-site, except for adding extra blue to the shadows to enhance the orange colour of the pagoda with its complementary colour. Must go back again soon and take my portable chair to get some exceptional vantage points of this beautiful garden.